It’s impossible to walk down the streets in Jamaica and not hear the hit song “She’s Royal” blasting from a shop’s radio. And it’s only the latest in a host of singles from Tarrus Riley’s album, “Parables,” played incessantly in Jamaica this past year. A simple mention of the name Tarrus Riley to a Jamaican instantly leads to a broad smile. This 30-something talent — born in the Bronx, New York, and the son of famous Jamaican artist Jimmy Riley– is the hottest reggae artist to shoot to stardom in the last year. Tarrus Riley released his first album, Challenges in 2004, but his real success came with Parables in 2006. Seeing him live, and listening to his lyrics, it’s clear why this man has become a phenomenon. 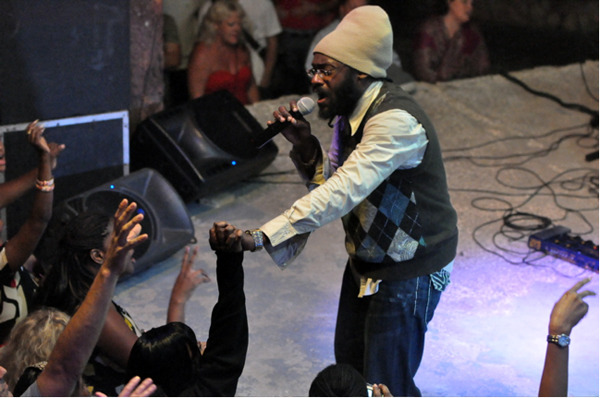 On December 30, 2008, hundreds of locals and visitors came out to see Tarrus Riley perform at the Negril Escape Resort in Negril, Jamaica. It’s not that he hadn’t performed in Negril before, but this was before “Parables” hit the stores, and his previous appearance in Negril was not a solo act. 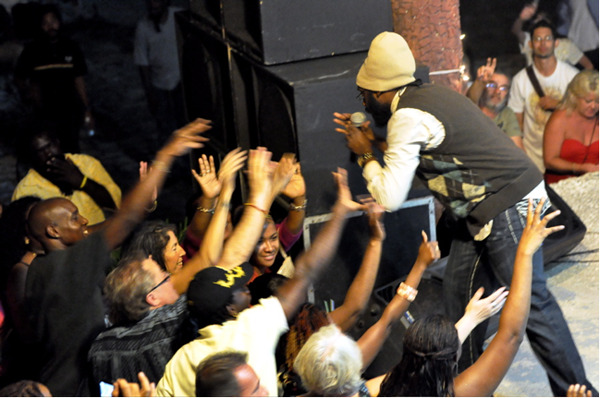 So for many, experiencing the December 2008 Tarrus concert in Negril was a first. Tarrus Riley’s messages are poignant and heartfelt, his smile disarming. “Cut if off,” he sings, “if a relationship is abusive to you, you must cut if off!” His voice is real, comforting and melodious, almost like getting advice from a friend. With the hit “She’s Royal,” Tarrus’ intention was to lift women’s spirits by addressing the lack of self-esteem so many women deal with. Sure enough, it’s become every lady’s favorite tune. “Poom poom poom poom poom!” he interjects between songs. “When I say that, it’s not a gunshot okay, it’s a musical shot!” he explains. Tarrus’ talented Gumption Band is just as much a treat as the artist himself. Dean Fraser, a legend in his own right and producer of “Parables,” performs saxophone renditions of various sounds Tarrus throws at him. The three female back up singers also prove their talent, performing quick solos for the crowd. In a time when dancehall and reggaetón have dominated clubs around the world, roots or “conscious reggae” is now making a strong comeback. With artists like Tarrus Riley blasting messages such as “Beware!” and “Stay With You,” musicians and fans alike are holding on to the freedom-message era of the Bob Marley days, showing a strong need to address today’s multitude of issues through reggae music. Other artists aligned with Tarrus’ socially conscious music are Luciano and Morgan Heritage. Every Tuesday night at 6:30 PM, the Negril Escape Resort hosts the Sunset Show, a live three-hour concert re-enacting all the phases of Jamaican music, from African drums all the way to today’s dance hall. Folks can party on the seaside terrace. The Sunset Show also features a celebrity reggae artist once a month. Entry to the regular Sunset Show is US$10. For more information, visit Negril Escape’s website. Alfred’s is a favorite for live music every Tuesday, Friday, and Sunday night starting at 11 PM . It’s located on Negril’s Seven Mile Beach. Locals and tourists alike enjoy the sounds of reggae and dance barefoot in the sand and under the stars at this beach nightclub and restaurant. For more information, visit here. 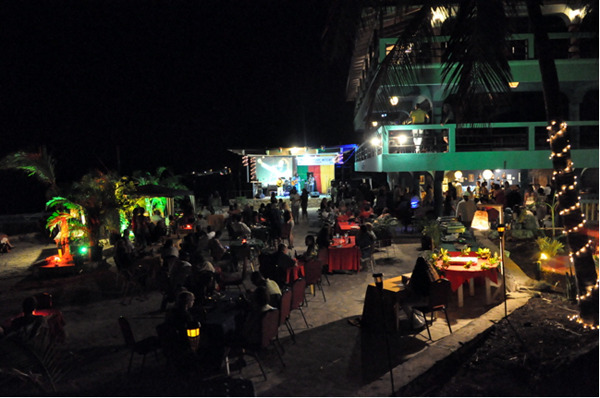 Located on Seven Mile Beach, Roots Bamboo features reggae artists every single week. 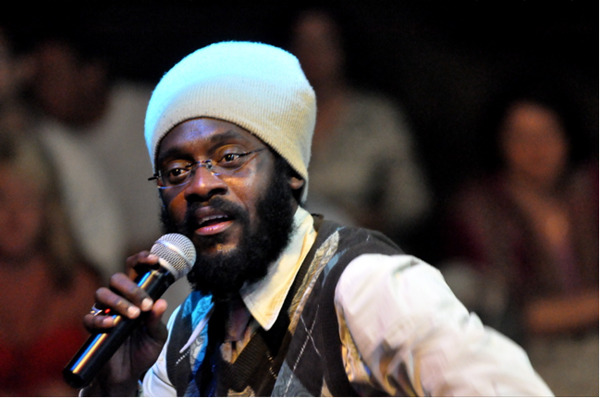 Past and regular performers include Gregory Isaacs, Natty King, Yellowman, and many others. Live music is playing Wednesday and Sunday nights at 11 PM on for a cover charge of only $300 Jamaican dollars (US $3). A favorite for live concerts in Negril, with a unique and gigantic colorful stage, Bourbon Beach hosts many reggae stars, such as John Holt and Luciano, every Wednesday night. Another chance to dance barefoot in the sand and enjoy the best of reggae for only $700 Jamaican (US $9). For more information visit Bourbon Beach. Additional concerts and live shows are always posted on billboards throughout Negril. Matador co-founder Ross Borden stumbled onto a reggae show in Chiang Mai, Thailand. Read his blog post about the experience! Or, for tips on getting to another music-infused island, check out How To Travel To and From Cuba.